Since July, the Marine Mammal Center in Sausolito, California has seen 68 sea lions sickened by toxic algae come through it's doors—just two less than they saw in all of 2016. The sea lions show signs of domoic acid poisoning, a toxin that is produced by the algae Pseudo-nitzchia. 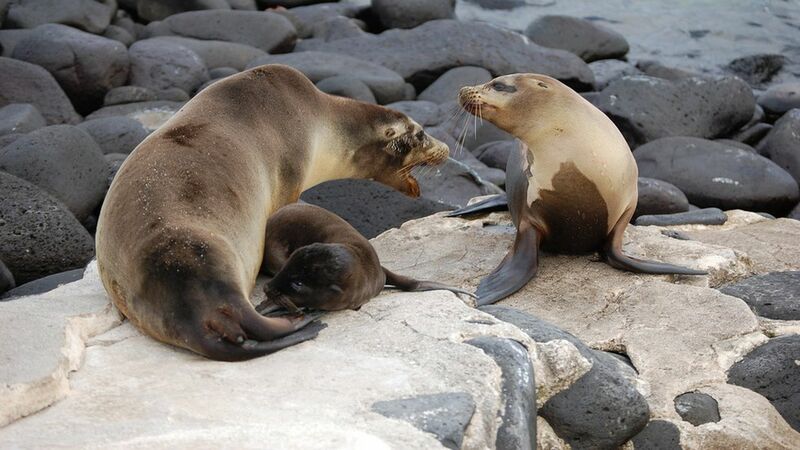 The toxin builds up in the sea lions, which eat fish that consume the algae. In many cases, domoic acid poisoning is fatal. The strandings started farther south several months ago, Justin Viezbicke, the NOAA stranding coordinator for California tells Axios, and have been moving steadily north. Why it matters: Toxic algal blooms don't just pose a threat to sea life. If humans ingest animals that contain the toxin, they can also die. The Oregon and Washington razor clam fisheries are currently closed due to high levels of domoic acid. Past algal blooms have closed fisheries for entire seasons, losing millions of dollars in revenue. and that similar blooms could become common in the future.